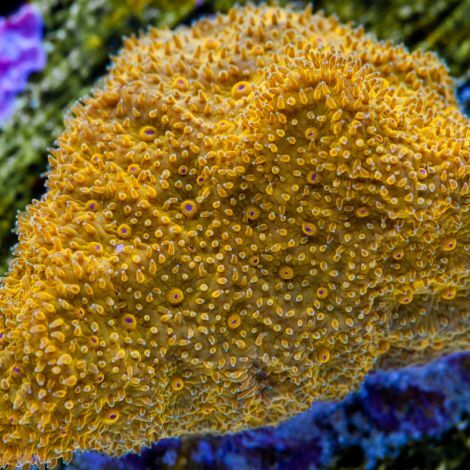 Psammocora are a relatively uncommon and under appreciated small polyp stony coral. From a distance they have almost a velvet appearance but up close one can see the individual polyps. Pasmmocora are fast growing and tolerant of a wide range of tank conditions. Here at the Tidal Gardens greenhouse, we've successfully kept them in light ranging from less than 50 PAR to bright systems over 250 PAR. This coral comes in several different color morphs and we are looking to expand our collection in the future.